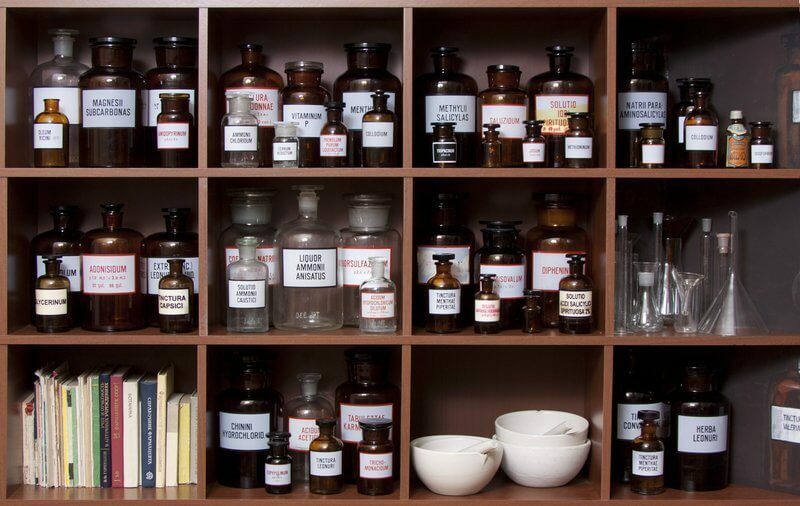 If you were to come over to my home and complain of an ailment, or your child got an injury while visiting, you may be surprised to see me open up my “medicine cabinet” and proceed to pull out various natural remedies to treat what ails you. I’m no expert, but I have a love for alternative, natural treatments and have been studying them casually for the past 7 years or so. 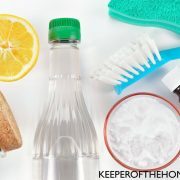 A friend was asking me what I would use for such-and-such a while back, and as I rattled off some suggestions and talked about the things that we keep in our home, she suggested that it might be helpful to other moms to know the types of things that I keep and use on a regular basis. What’s in My Natural Medicine Cabinet? Cod liver oil: Usually a supplement for us, but I “prescribe” extra during illness because Vitamin D is so good for the immune system. Vitamin B : This has proven to be very important for my husband, and I take it occasionally when I’m really dragging and want to ensure that my B vitamins aren’t too low. Calcium/Magnesium tablets: These are great for headaches, for relaxation when having a hard time sleeping, and especially for muscle cramping. I’ve been taking mineral supplements and cal/mag specifically this pregnancy and it’s the first time I’ve never had a single leg cramp. Probiotics (such as acidophilus, though there are many strains to choose from): To boost immunity, good for tummy troubles. Oil of Oregano: My husband’s favorite. He can handle way more drops of this strong-tasting, concentrated herbal oil than I can. It really shores up the immune system and helps to fight off viruses quickly. We take it at the first sign of sickness. Mullein: This herb is very soothing for the throat and for coughs. I use it in boiling water to create a mullein steam. We put a towel over our heads and breathe in the steam for several minutes at a time to help with really stubborn coughs. Garlic: I’ve written an entire post about using garlic. It’s worth a read. Ginger: Same as garlic. See the post! Chamomile: I make this soothing tea for my children, if they have an upset tummy or are having a hard time calming down or going to sleep. Peppermint: This is also very soothing on an upset digestive system. Teas are wonderful to sip on. 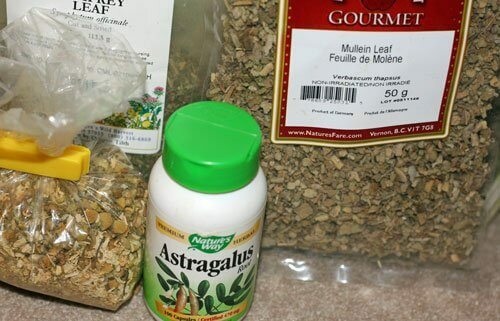 Astragalus: We only have this in capsule form, but my husband and I take it sometimes to boost our immune system when we’re fighting something. There are many other herbs that I use, this is just a handful of them. See this post I wrote on herbs that I have and what I do with them for a more detailed discussion. Peppermint: I put a couple drops in water to help with indigestion. It can also be used straight on skin (with caution- it is a strong oil) as a muscle rub. A friend rubs it on her neck to help relieve her tension headaches and she swears by it. Eucalyptus: I make a very simple chest rub with this, for coughs and congestion. You could also use it to make more of an ointment-style herbal vapor rub. Rosemary: My midwife turned me on to this for rubbing on my temples (a few drops in a carrier oil, like olive or almond oil) for headaches. It’s pregnancy and nursing safe. Lavender: Anti-bacterial and soothing as well. I often add a few drops to baths. 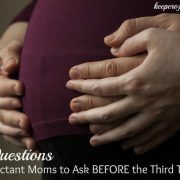 If you missed it, Stacy just shared some wonderful ideas for using essential oils with babies, and there are also two previous posts on essential oils to use in pregnancy. I have a natural first aid kid called a NaturoKit, which I LOVE and use all the time. It contains 9 basic remedies, put together by two moms who are also naturopathic doctors. There are 5 homeopathic remedies (for different types of pain, bites, allergic reactions, etc. ), 1 floral (Crisis Calm), activated charcoal (more on this below), a herbal healing salve, and Calendula Success tincture (for cleaning/treating wounds and preventing infection). It’s perfect for those who want to learn to use more natural remedies, but aren’t quite sure where to start. I keep my kit in my medicine cabinet in my kitchen and pull it out at least once every week or two. I often refer to the helpful list of ailments and which remedy to use for what. When we go out, especially on something like a camping or hiking trip or when travelling, I try to remember to bring it with me. Flu nosodes: These are homeopathic drops created specifically to help prevent strains of the flu that are common. I first got them the year that swine flu was a big scare, and have since used them to help keep us from getting the flu each year. 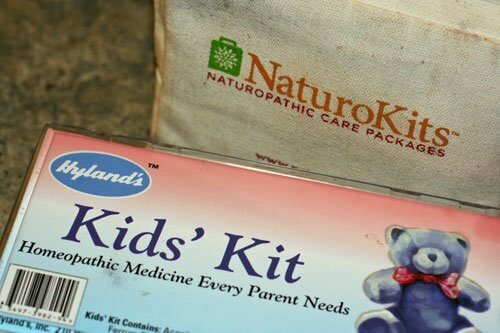 Hyland’s Kids Kit: With 7 different homeopathic remedies and a helpful book that tells you when to use what, these are great for those with babies and toddlers (I find they aren’t effective on my 7 year old anymore, who seems to need adult strength doses). 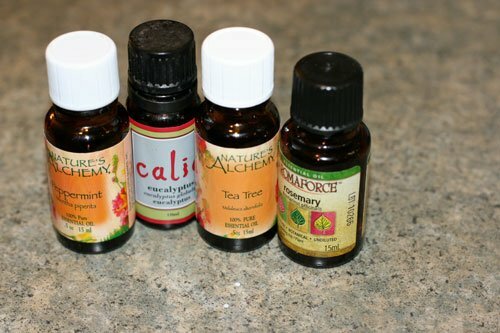 I use these to treat fevers, runny noses and congestion, emotional agitation, coughs, sleeplessness and more. Bach’s Rescue Remedy: I like the spray and my husband prefers the lozenges. These are great for calming in stressful, tense, nervous or emotional situations. Hyland’s Teething Tablets: They don’t take away all the pain like Tylenol would, but in my experience with 3 babies, they take the edge off, for sure. I find the teething gel useless, and I didn’t like another brand that I tried called Humphrey’s. I’ve been using these particular tablets for 7 years and swear by them. Learn more about homeopathics in my post Using Homeopathic Solutions for the Family. Activated Charcoal: For upset tummies, bad gas pains, etc.. For the kids, I break open a capsule and mix it up in a spoon of applesauce or honey. For my husband or I, we take two capsules with water. I also use this to make poultices for drawing out toxins, like in a skin infection or a bug bite. 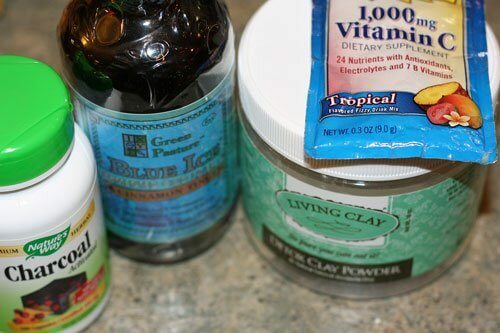 Bentonite Clay: We use it in detoxifying baths, and also use in poultice for infections and bites (it really helped a bad spider bite my husband got this winter). I give spoonfuls of a liquid suspension of clay (which I mix myself) for upset tummies, when those in need don’t want to take charcoal. The liquid form is also excellent for diarrhea and for stomach bugs while travelling (or to prevent getting the bugs in the first place). Melatonin Tablets: Not something that I suggest using on a regular basis, but I will take it occasionally if my sleep cycle has gotten out of whack due to travel, or if I’m struggling with insomnia even though I’m sick and tired and need the sleep. I will also sometimes give a half of a 3 mg tablet to my older children if they are sick and really in need of the extra sleep, but they’re fighting it. They usually fall asleep within 20-30 minutes of taking it and get the rest they need. We buy the sub-lingual ones, which dissolve under the tongue. Colloidal Silver: This tasteless clear liquid is very anti-bacterial and anti-viral, and super easy to give to children when they are fighting something to boost their immune system’s response. Herbal salve: I have the one in my NaturoKit, and another new one from Apple Valley Natural Soap that I am loving. I put this on any sort of wound, on chapped lips, on infected skin ,etc. to soothe and help it heal faster. Emergen-C: These powdered vitamin and mineral drink packages are great for dehydration, either in sickness or in high heat (like when we travelled to Arizona, we drank these to keep our electrolytes up in an unfamiliar hot and dry climate). Epsom salts: For relaxing baths while sick, especially if one of us has a fever. I also add extra to baths for detoxification purposes. When I had an awful 24-hour migraine earlier this pregnancy, my midwife recommended an epsom salt bath, as the extra magnesium would help to relieve the headache (and magnesium is helpful for headaches in general). Last year I wrote a post during Natural Remedies and Illness Prevention Month about some of the resources that I recommend buying. It includes lists of things to that I use and buy (including a short list of 11 items for those just starting out), and some recommendations of where to buy things as well. Handbook of Vintage Remedies– Very simple for those new to home remedies, and geared towards families. Probably not for those who want more advanced or detailed information. The Complete Medicinal Herbal– Excellent herbal reference. 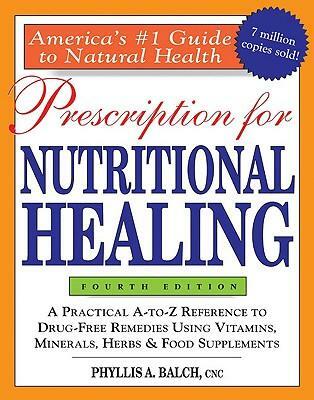 Prescription for Nutritional Healing– Very detailed, focuses more on nutrients, supplements, and other types of alternative therapies or remedies. What’s in your natural medicine cabinets? What types of remedies do you find yourself using most often? Disclaimer: I am not a certified medical professional of any kind and am not qualified to give you medical advice. My goal is to help to educate and inspire you to take responsibility for your own family’s health and make informed choices of your own, not to consult you on medical treatment. Additionally, this post does include some affiliate links. I only recommend products that our family would purchase and use ourselves. This post is so timely for me! I’ve been thinking I’d like to learn about natural remedies, now that I have a baby, but it’s hard to know where to start. I especially appreciated your book suggestions, and the kit suggestions (which I’m glad to say look affordable), to help get me started. Thanks! Okay, I don’t want to sound crazy or anything… but this is a HUGE answer to prayer. I wanted some straight forward, short and to the point run down of the essentials. And, this is IT! Thank you so much for taking the time to write this all out. Feeling less overwhelmed. I totally love your list….But I would add Grapefruit Seed Extract (Nutribiotic) and Olive Leaf Extract (Seagate Botanicals) for their potent antimicrobrial and antifungal properties – My son calls GSE the “duck-tape of all herbals.” We have used GSE in multiple situations from abcesses to strept throat and have only had amazing results. Best thing, is that you don’t have to worry about whether you are treating a virus or bacterial or fungal infection as it will kick-tail on all of them. We hide ours in empty gelcaps to avoid the intense bitter taste of GSE. Your friend was right. This was very helpful. I am pretty green when it comes to homeopathic treatments. 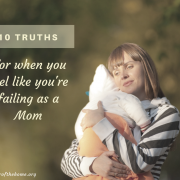 I know that the Lord is leading me to do this for my family, but my lack of familiarity leaves me feeling helpless and turning to traditional meds. I am feeling rather convicted to get this started. What would you say are the most important beginning items to purchase? Then I can build from there as needed. Thanks, so much! This post has a smaller list of 11 items that I would recommend for someone starting out. Those, and a good reference book, and then you can begin to build some confidence in using these remedies. A first aid kit like the Naturokit is also great for those just learning as well. I still refer to the information pack in mine all the time! Oh my, I love this post! I’ve been studying herbal and natural remedies for years! I am a trained registered nurse yet I have always been strongly opposed to some of the practices of modern medicine (not all, but some). I think what I love the most about herbal and natural remedies is the empowerment that gives to people. There are so many remedies that we use on a daily and weekly basis…I’d have to do a post like yours to list them all;) Take caution though…building your own medicine chest and the study of natural remedies is somewhat of a rabbit hole:) The more you dig the more you discover and the more you dig! Thank you for a super informative post, packed with really great information! I’m looking for shelving like the one used here. Can you share your source? Thanks so much! I’m surprised you don’t have Swedish Bitters! They’re amazing!! Peppermint oil is great to soothe itches, too. Put a little olive oil or coconut oil on first, and it will help stretch the oil–you only need a little drop. It worked wonders on my bad eczema patches during pregnancy! What a great post! I use lots of essential oils as well. I also have been using Boiron’s Chestal homeopathic cough medicine for the kids during their most recent cold. I also love making Kudzu Apple Juice (from your blog). 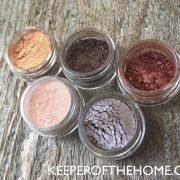 I was just about to place a Mountain Rose Herbs order and after reading your post I have a few more things to add to my list! What a helpful post. I don’t have a clue about most of this. I now have a great starting point. Thank you. Do you have any suggestions for cold sores or cancer sores? I really like “Root It Away” Osha syrup sold by Mt. Rose Herbs. We take it at the first sign of a sore throat and it helps quite a bit. Colloidal silver is supposed to be good. I’ve also heard of people using lysine, as well as licorice root extract. Some herbal salves may also be helpful. Oh, how I love natural remedies and this post! Being a registered nurse who believes in alternative, natural remedies over mainstream pharmaceuticals, I am always looking for new ways (or should I say old ways) to treat illness. It’s amazing how many people take OTC meds with so many side effects before they try natural solutions! Thanks for this excellent, informative post! My 19 yo daughter just had surgery on Tuesday. I gave her Arnica Montana a few hours before and she has had 4 doses since. At day 2 after surgery, her bruise is down to the size of a quarter (the entire half of breast was a large bruise a couple hours after surgery). I KNOW that the Arnica Montana is the helper it claims to be. Oh yes, we LOVE arnica! I call them “owie pills” and my kids happily take them for bumps and bruises. This is perfect and great timing! I do have a question about Vitamin B. I have wanted to get some, but feel overwhelmed when I look at the hundreds and hundreds of options… Any suggestions? It’s always best to look for vitamins that come from whole food sources when possible. Garden of Life makes great supps, as does New Chapter (which is a bit more affordable). They’re my favorites. But otherwise, I’d look for a nicely balanced B complex (you can ask in a health food store for their recommendations) and one that is time release. We find we have much better results when we use time release B’s instead of regular ones. Thanks for the quick response! Do you find that capsules or liquid is better? WOW! What an incredible amount of information. I will be studying this for weeks! I also shared this with my readers on facebook. Fantastic info! How has this been important to your husband? What benefits have you seen that you attribute to Vitamin B? We don’t have kids, so maybe that’s why we don’t get colds around here very often. My partner will get a cold about once a year. Sometimes it’s one that’ll keep him down, and sometimes it’s not. For when a cold strikes I like to get Elderberry Syrup. I’ve even made it myself before. I found one this past year with apple cider vinegar and raw honey in it. I really liked how basic the ingredients were. I keep Bach flower essences around (Especially the Elm since I am a college student). We have some activated charcoal my MIL stopped using, but we haven’t had occasion to use it yet. I also keep probiotics in the fridge for after I have an encounter with gluten that gets my intestines all in knots. For the most part though, we just don’t use much. I think the best medicine is in our food, and if we’re eating well enough and keeping our stress down then we don’t need so many supplements or medicines. Whoa. And I thought my 5th grade home chemistry set was cool…. Thank you SO much for sharing these tips and your essentials!! I have also found that Hyland’s teething tablets work great for older kids when they are having pain with braces and other orthodontia! Thanks. Never tried Oil of oregano before. I’ll put it on my list. This is a really interesting article. Love some of the stuff you have on here. The evidence supporting ingested silver as an antibiotic is dubious, although it is much better documented in laboratory dishes. Additionally, there are numerous risks to ingesting silver, especially because manufacturers are not well-regulated. I would not give it to a baby or pregnant woman, and would be extremely careful otherwise. Stephanie’s full article on silver is pretty good (just click on the link), but I would still be super careful and definitely keep it far away from little hands. Hi there! This is my 1st comment here so I just wanted to give a quick shout out and tell you I truly enjoy reading your articles. Can you recommend any other blogs/websites/forums that go over the same subjects? Thank you so much! Super post Stephanie!! Do you have a favorite publication that focus’ mainly on the essential oils and recommended uses? Maybe I should stop taking my cal/mag right after dinner. I have a habit of falling asleep on the couch no matter how hard I try to stay awake! We use tubes and tubes of Arnica. There are also pellets you can buy, but my kids like to treat them like candy, and they are pricey. Arnica is a natural sprain or muscle cramp or bruise deterrent. Once I was playing basketball and was hit in the eye. I should have had 2 black eyes, but the Arnica did the trick and no marking at all. Wow, fantastic! I noticed you have some herbs from Nature’s Fare there. I live in the Okanagan. Love that store! I really, really, enjoy your website. This post is such a wonderful resource. Thank you. I have struggled with horrible “hormonal” headaches, during that time of the month. I have done the epsom salt baths, but will also incorporate the rosemary and magnesium. My two favorite remedies are lavender oil and homemade elderberry syrup (recipe from this site, I think). Lavender is so great for so many things – calms babies, freshens laundry, a drop on the nose stops nosebleeds, etc. etc. 1.) how do you transition to all natural remedies if you currently have none? (we have a naturo kit with activated charol weed salve and something else…. ) but would like to switch over to what you mentioned above….. how do you do this without breaking the bank and which items do you suggest we start with? I am no expert by any means. I’m in the same boat you are. I’m trying to switch over and it seems to be slow…. but I keep telling myself it’s something. In my family we tend to have head colds more than other illnesses. So I’m concentrating on items for that. I have essential oils – Lavender, Eucalyptus, and tea tree. I use them in humidifiers and defusers. My mom bought me a bottle of Onguard from doTerra essential oils. It’s expensive, but really nice to have. I also try to keep Boiron Coldcalm tablets, Hylands Belladona tablets, Hylands Sinus tablets and, Hylands Bronchial Cough tablet (can you tell I like homeopathic tablets). Other things I keep around are Echinacea (liquid form) and Elderberry lozenges. I was told that Echinacea prevents the cold bug from moving in your body and Elderberry keeps it from multiplying so I try to use the two together for a couple of days and give my body the upper hand. I also love that everything I get I can give to my kids. There are more things I would like to get (like everything on this post), but that’s what I have now. Oh…. one more thing. Candied ginger. Love that stuff. When I feel sick I snack on it or make a tea with it and add lemon and honey. I see you take cod liver oil instead of fish oil pills. Is there an advantage to taking the oil? Pills seem simpler to me and there is no taste to deal with so I’m thinking you have a reason for this. Thanks for your any insight you can give me. I’ve been working on adding to my natural medicine cabinet and have found that Vitacost has some good prices. If anyone does not have an account you can email me. I can send you a referral. If you use the referral you will get $10 and when you place your first order I would also get $10! Nice to help each other out. If anyone is interested email me at jwaggie78 at gmail dot com. One of my favorite “cures” is a tablespoon of pure vanilla in half a glass of water for headaches. Another one we recently learned about for my husband’s chronic backache is to rub iodine on the painful area. He says it keeps him pain-free for about 3 hours, which his meds can’t do. My daughter signed me up for a Pure Herbs membership. They have an amazing assortment of liquids to treat virtually any problem and their catalog gives all the glory to God for His healing plants. What a great resource! I have bookmarked it so that I can return and learn more. 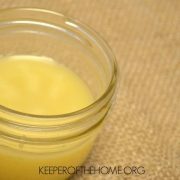 One thing that I use daily (and is leftover from those early days of breastfeeding) is lanolin–I use it for chapped lips and hands, as well as scrapes. I also have on hand Arnica tablets and cream. We drink a variety of herbal teas to support our health as well. Can you suggest a manufacturer/brand for arnica and cal/mag? Also, do you have a good resource on what homeopathics to keep in your med chest? We can’t use herbs very well, so a list of homeopathics would be great! Thanks! And, thanks so much for compiling and sharing this list, too – so helpful! What a fantastic post. You have great things in your medicine cabinet. Thank you for sharing! Thank you for sharing!! I’m totally interested in getting my own med cabinet set up! This will help a lot!!! 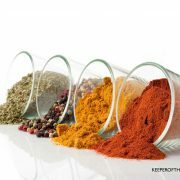 Great, great article~ I love learning about natural home remedies, especially being a health nut! I will share this on our natural living social network CrunchyHippie.com, thank you! You can goto: http://www.naturessunshine.com They have wonderful products. Great information. Some items you listed above as anti virals. Is there anything in particular you would recommend for Hand foot and Mouth disease in a 15 mos old? i may get it next and am 10 weeks pregnant. What is safe? It is a little late for this comment for you, but maybe someone else will benefit. For Hand, Foot, and mouth I would try virastop (enzyme between meals) and Olive leaf extract (herb with meals). How would you use tea tree oil for infection? Mullein is suppose to be a good poultice for brown recluse spiders. Jam packed with tons of great info…THANKS!!! My only regret is that it took me this long to find you. I have some powdered herbs (dandelion plus others). Do they get old and unuseable? Should I throw them out? They were given to me several years ago and I have done nothing with them. I have recently begun to look into using herbs for myself and my family. Your site is very interesting to me and I am hoping for some information on my OLD herbs. Thank you for your help and advice. Have you heard of using sunflower tea? This is super helpful! The only thing I would caution against is the sliver. Once it is in your system it doesn’t get out. too much of it can have irreversible damage. Just a word of warning. Everything else looks awesome! Loved the information! Great to have on hand! Do you know about Young Living Therapeutic Grade Essential Oils? Grown organically and the founder of the company maintains a high level of stringent requirements for the oils that the company produces and bottles. No pesticides used in growing the crops, no checmicals or additives in the essential oils, if a carrier oil is added to the specific bottle-it’s on the lable, no propolyene glycol added either. Safe to ingest even. Feel free to check out my website, would love to hear your feedback at [email protected]. Helpful notes! Thanks! I would add that you really shouldn’t apply essential oils straight to the skin (the peppermint) but use it with a carrier oil, always. I really do need to try peppermint this way, though I have also had lavender in my bathroom for a few months now for tight and angry muscles that ache. I was interested up until I saw the words “homeopathic” and “Bach’s Rescue Remedies”. Though I sincerely doubt that you care about what science has to say about it, in my opinion, quack remedies like these give the rest of natural medicine a bad name. I suggest you read more about the history of the beginnings of these two, in particular. If nothing strikes you as peculiar about the ideas they are founded on, then by all means, please continue…the placebo effect is still a real phenomena!